You know, even after all the rave reviews and the love this movie got when it came out, I didn’t know for sure exactly what it was about (other than a hip hop/rap history biopic type deal), but thought it would be worth watching as it seems it was done really well. Well, let me assure you, this really is that good and a bag of chips. Damn, I was way more impressed than I thought I would be. I only know bits and pieces of the history surrounding these guys (pretty much all of it passed down to me from an old colleague who knows plenty about this), so I didn’t really know how accurate everything was, and I wasn’t too bothered. I was there to watch a movie and it happened to feature people we have at least all heard about, and it seems that it was pretty accurate (checking after the fact) too, for the most part. There was a lot to like about this movie. The music (obviously) suited the content, the history used is interesting. Something that really blew me away? The casting. I mean O’Shea Jackson Jr looks just like his dad, which is insane. Then you see after the fact that each and every one of these cast members looked almost exactly like the real-life counterparts they were playing. Wow! That doesn’t usually happen, and yet it was nailed down completely here. There were also some flaws with this movie. The pacing is a little off at times. The movie does not feel as long as it is, but there are times when the narrative jumps around a bit or feels hurried (especially the beginning – these were guys struggling at home and then in the recording studio within a space of like… ten minutes). Like, the groundwork is there but rushed. The dramatic element is good though, and there is humour in here from time to time that is quite entertaining. 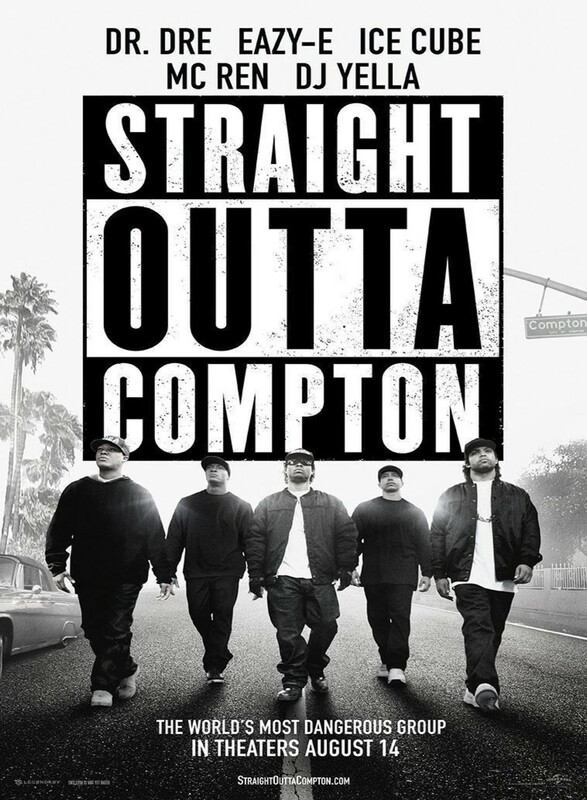 I am glad to finally say I got around to watching Straight Outta Compton. While rap/hip hop is not generally my cup of tea, I think that this movie is handled well and is engaging. You might/might not love the genre, but you cannot deny how these guys had their say and influenced/drove the genre the way they did. One has to respect that. This entry was posted in Movies and tagged blind spot, Corey Hawkins, Ice Cube, movie reviews, movies, Neil Brown Jr, O'Shea Jackson, Paul Giamatti. Bookmark the permalink. Yeah really enjoyed it. Well made well cast and one entertaining story. It was quite a good one, I liked it a lot. LOL go mom! This is so true – it’s actually really sad that some things have not changed, some things that SHOULD work really well.